It is believed that much can be said about how a person reacts to a situation. In times of successes and positive moments, most people celebrate with joyous reactions. However, in troubled times, people react with different shades of negative emotions. Some spring back right away and take positive action while others dwell in doom and even fall into a dark depressive state. In this complicated world of ours, many people find it difficult to cope, especially in a fast-paced country like America where decisions must be made at every turn. When problems which people cannot handle beset them, their emotions run low. Such downward spiral of emotions usually comes with a host of symptoms that affect physical and mental functioning. For these people, how do they find their way back to the light? Depression may be caused by a host of factors and is usually manifested with negative behaviors stemming from negative emotions. Sometimes, the person experiencing it is not even aware that he is undergoing depression. Clinical Depression as a psychological disorder is characterized by severe and debilitating depressive episodes. People suffering from Clinical Depression experience inability to go on with work, establish harmonious relationships in their social and family life. They become withdrawn, and cease to enjoy things they have enjoyed before and eventually becomes hopeless. Causes for Clinical Disorder may be linked to organic neurological causes such as disruption in neural circuits and neurochemicals in the brain. It may also be genetically predisposed in the patient or caused by post-traumatic stress disorder, social anxiety disorder, panic disorder or generalized anxiety disorder (www.bipolarcenteral.com/otherillnesses/unipolar_disorder.asp). Symptoms of unipolar depression include: the inability to concentrate or make decisions; being apathetic or neutralized emotional behavior; irritability, nervousness and anxiety; lowered energy and complaints of consistent fatigue; feelings of sadness, hopelessness, low self-esteem, worthlessness; withdrawal from social and family activities; decreased sexual desire and activity; suicidal tendencies and disturbance in eating and sleep patterns. Diagnosis of this disorder includes physical and mental evaluations to rule out the presence of other diseases or illnesses. The patient exhibits most, if not all of the symptoms for a prolonged period of time. Treatment may include Psychotherapy; Electroconvulsive Therapy in severe cases; pharmacotherapy with antidepressants such as selective serotonin reuptake inhibitors (SSRIs)-the tricyclics, and the monoamine oxidase inhibitors (MAOIs). The SSRIs-and other newer medications that affect neurotransmitters such as dopamine or norepinephrine-generally have fewer side effects than tricyclics. ; or hospitalization in severe cases. In America, depression may be more common than people know because of the high stress produced in work settings. For most depressed people, however, it is something they may keep to themselves, as it may not be acceptable in a generally positive environment. It may even go undetected and undiagnosed which may lead to a more serious disorder. Another reason why some depressed people may ignore this disorder is the need to keep working for a living no matter how poor their performance may be due to the depression. In any case, people should be more attune to their mental and psychological health. Depression may be interpreted as mere sadness or feeling low, but as earlier mentioned, may lead to more serious illnesses that may manifest physically as serious diseases such as ulcers or even cancer, since stressful states trigger strong physical sensations and symptoms (Lewinsohn, Rhode, and Seeley, 1998). Depression should not be taken lightly, and in the first signs, must be dealt with accordingly to prevent its progression into a more serious psychological and physical disorder. England Journal of Medicine, 347, 667–671. August 29, 2002.
older adolescents: Prevalence, risk factors, and clinical implications. Our customers are our pride. They bring us business, and we deliver them quality work. So just open the Live Chat, write “do my essay for me” to the support staff. 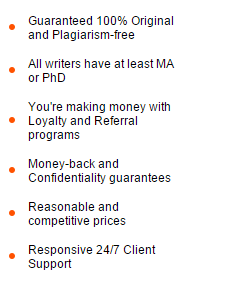 They will instantly help you register after which, you may order your essay. Sign up now.